Investment Banking, Second Edition is the most widely used reference guide in investment banking. 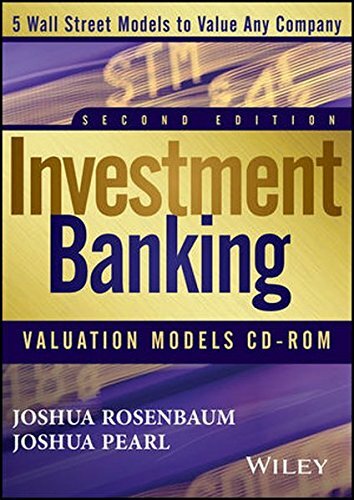 Investment Banking Valuation Models CD-ROM includes world-class valuation and transaction models to complement this global best-selling guide in investment banking. Five valuation model templates along with completed versions are accessible with this CD-ROM. Each model comes complete with a user's guide.